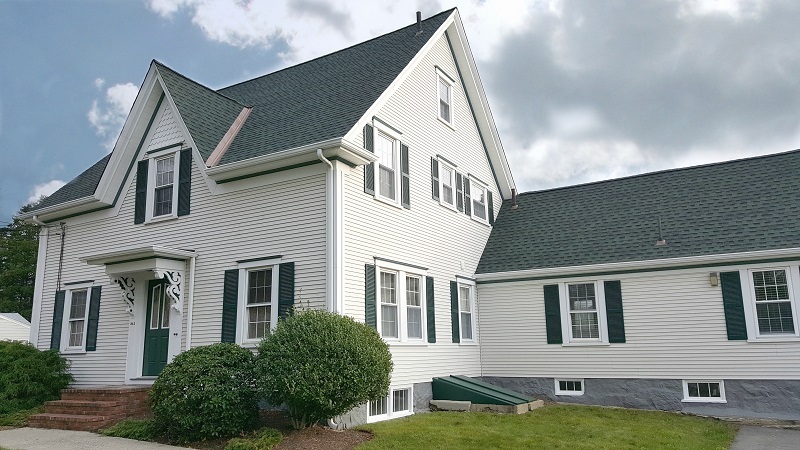 Our Fairhaven, MA office features a new GAF Timberline HD Roofing System! Workers inspect the roof deck of our 1890’s farmhouse. 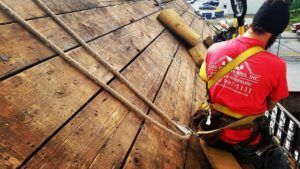 Stripped Existing Roof: For the highest performance, we completely stripped off the existing roof shingles in order to perform a complete inspection of the roof deck. Any rotted or damaged boards were replaced. Leak Barrier: To protect our building from water and ice damage, we installed GAF Leak Barrier. It forms a protective seal along the eves, valleys, rakes, as well as flashed areas such as vent pipes, chimneys, and skylights. 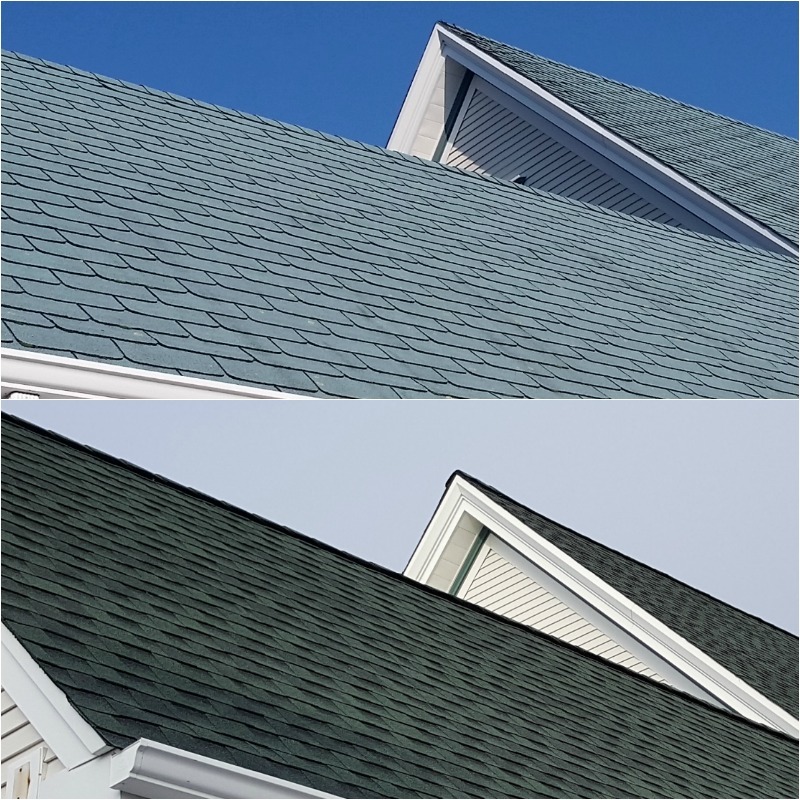 Premium Aluminum Drip Edge: In order to improve the efficiency of water shedding and prevent leaks from a wind driven rain, premium drip edge is installed along the roof eves. Drip edge also prevents movement between the fascia boards and roof deck. 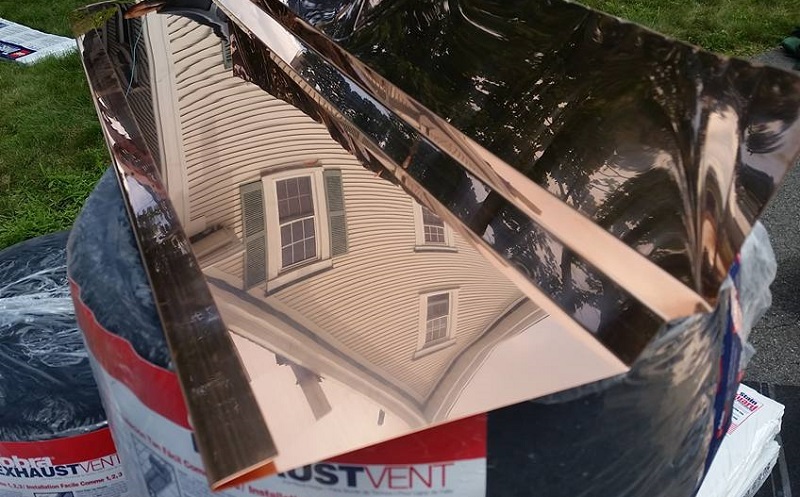 Copper Valleys: We wanted to showcase the beauty of our roof lines with copper valleys. This architectural detail helps shed water off the roof and will weather to a lovely patina. GAF Pro-Start Eave/Rake Starter Strip: With Mother Nature as a formidable foe to our homes, GAF’s Dura-Grip adhesive starter course helps to properly secure shingles in place during a storm. This critical roof component helps protect homes against both wind and rain damage. Copper valley enhances the beauty of our GAF Timberline HD Roofing System. 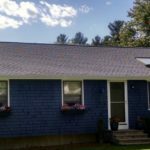 GAF Timberline HD Roof Shingles: Our most popular roofing shingle here at Care Free Homes! 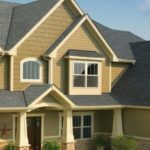 This performance architectural shingle comes in a fantastic collection of color blends, features a 130 mph wind rating and features the highest possible fire rating. When the time comes to replace your roof, trust your home to a professional contractor. As an award winning GAF MasterElite contractor, our GAF Lifetime roofing systems come with a 50 Year, Factory Registered, Non-Prorated Roof Warranty. 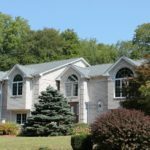 With almost 40 years of experience – Care Free Homes proudly serves homeowners throughout Southeastern Massachusetts, Eastern Rhode Island, and Cape Cod. Qualified homeowners can even take advantage of our financing options. Don’t postpone your project – get a FREE quote! Give us a call at (508) 997-1111 and make your house a Care Free home!